Our easy-to-use Online Design Tool allows users to create designs from scratch for free. Through this tool, even those with limited graphic design knowledge can create captivating products in minutes. 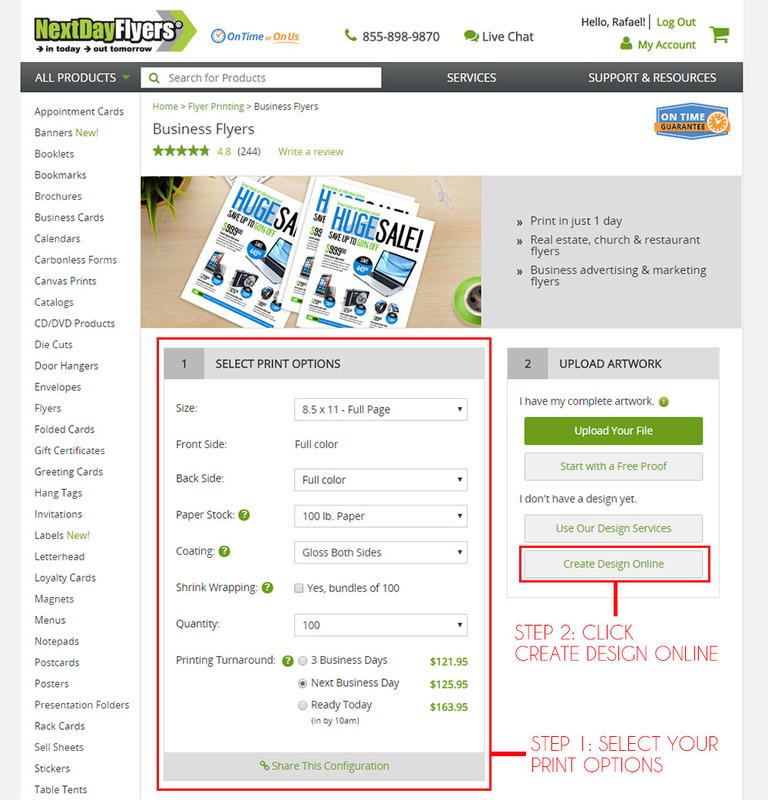 You can start by going to the product page and selecting your print options. 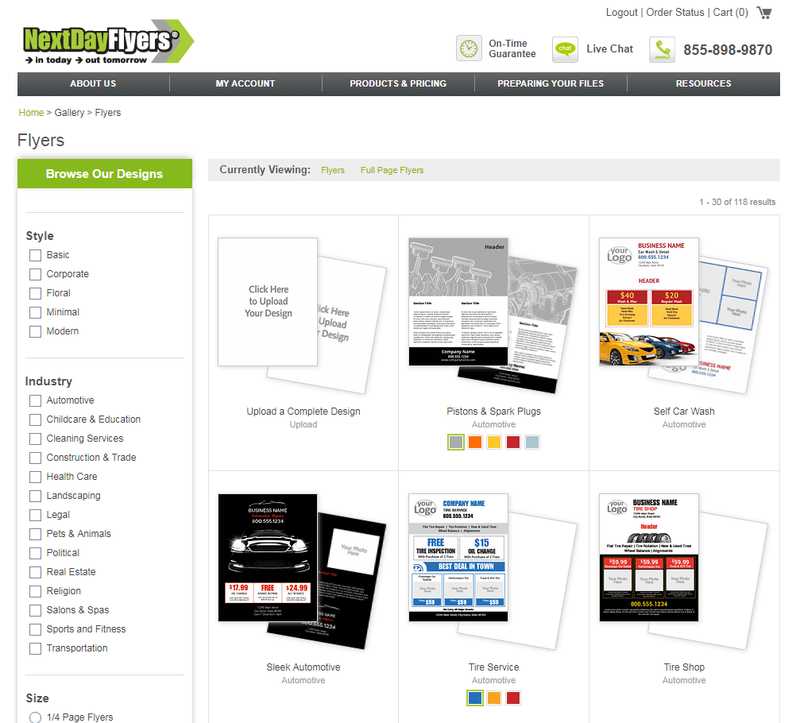 In this example, we’ll be creating business flyers but the steps should be similar for our other products. Once you’re done configuring your product options, go to the Online Design Tool. 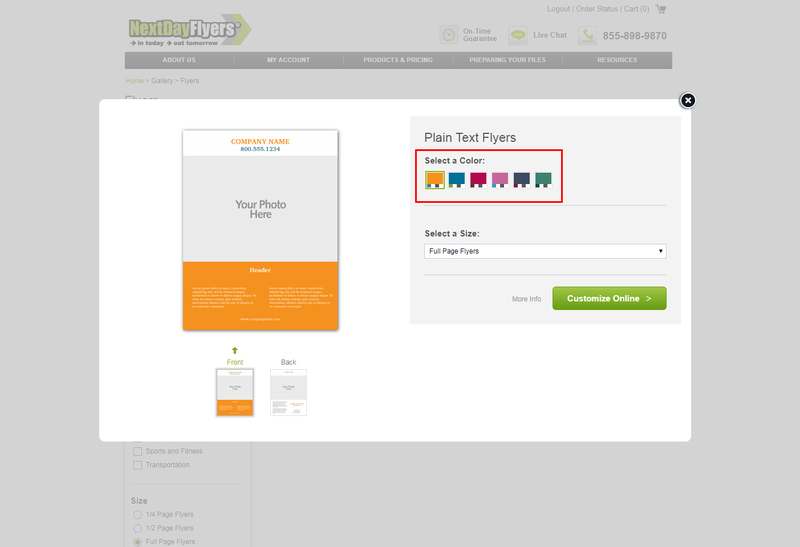 The tool can be accessed by heading over to the Upload Artwork section and clicking Create Design Online. 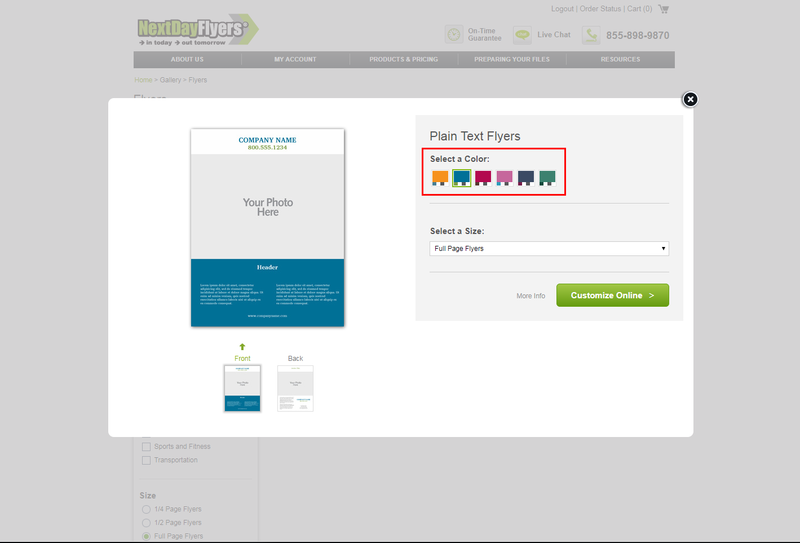 Note: When there are no templates available for the product size specified, the Create Design Online button would not appear. 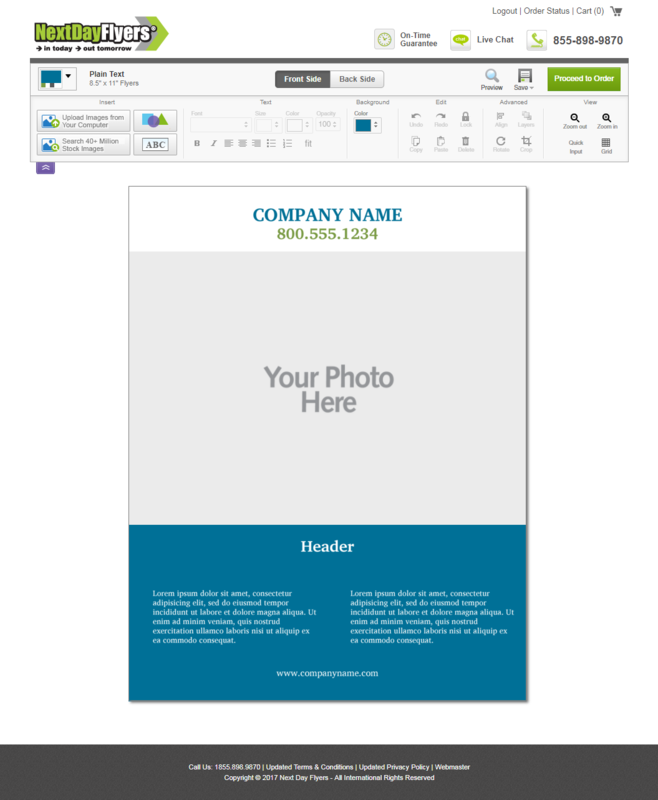 On the next page, you will be asked to choose a design from our template library. You will find filter options on the side panel. You can browse by style, industry, size, or orientation. Select a template by clicking it. A pop-up window will appear. Here you can select a color scheme. You have the option of changing the color scheme to something else. Once satisfied, click Customize Online to begin editing the design and text. You will now be able to edit the design and text of your chosen template. Customize your design by adding images from your computer or by purchasing stock photos (prices start at $1). You can also add shapes and additional text, change the font and font size, bold or italicize text, change background colors, among other things. To switch between the front and back, simply click on Front Side or Back Side located at the top of the tool. Once you’re done, click Proceed to Order. Doing so saves your progress and adds the design to your shopping cart. From here, you’ll be asked to confirm your product options and then will be redirected to your shopping cart. What can I make using the Online Design Tool? *Online Design Tool is not available for every subproduct. We are constantly updating our site to add more products to this list.